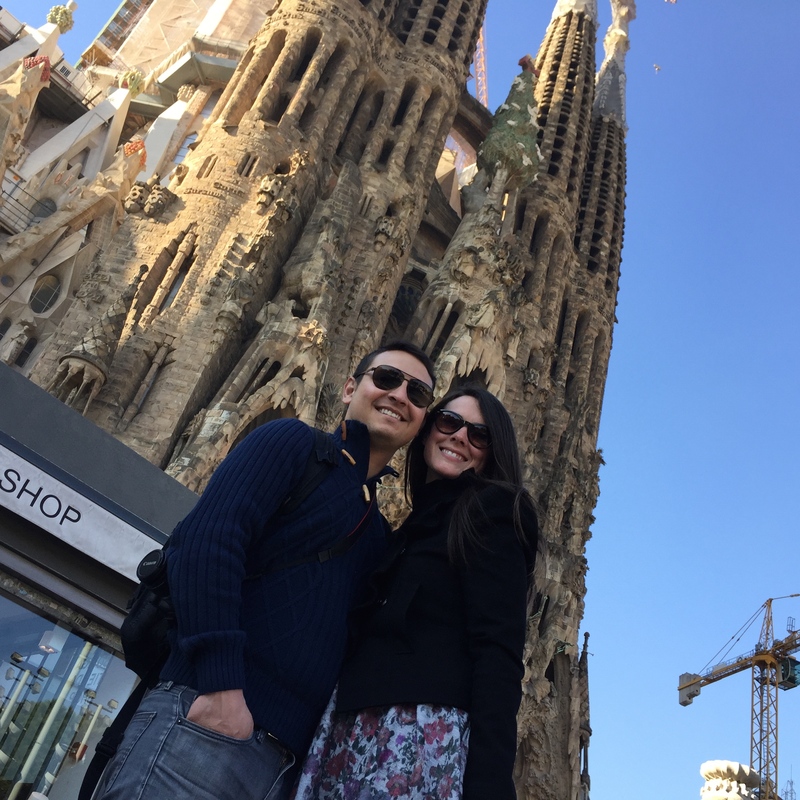 We arrived back in Spain on January 2 and dealt with pretty severe jet lag for a few days then hit the ground running. We knew that our Schengen Visa would run out in late January so we had very little time to come up with a plan. Note: I want to include some of the lessons we learned in our visa adventures because blogs were a source of valuable tips for us going through this whole process. If reading about visas sounds boring to you, feel free to skip on down past the 2 bulleted lists and our story will pick up there. The consulate is closed for vacation for the entire month of August, which meant we couldn’t even apply until right before our trip in September, which meant we didn’t have time to apply again before leaving. Each person needs their own appointment and each person needs their own set of originals for everything, even if you are married and technically applying together. Your application is much stronger if you have a CPA sign off on your assets. EVERYTHING has to be translated into Castilian Spanish AND stamped by an official translator, even all 29 pages of your travel insurance policy. The consulate is closed for vacation for the entire month of December, which meant we couldn’t reapply while we were in the States for the holidays as we originally planned. Change our flights and stay in the US to reapply for the visa. We knew we would have to start completely over on the documents since everything has to be dated within the last 3 months. Then after gathering everything again (which is a very time consuming process) we would have to fly to LA to apply, wait 3 weeks and, if everything went smoothly, fly back to LA to pick up the visas. This was a very time consuming option and the most expensive option by far so we ruled it out pretty quickly. Apply for a visa extension with the Immigration Department of the National Police in Spain. This was a long shot since the website says that these are granted for “exceptional reasons” but, if it worked, it would be the absolute best-case scenario. Apply for a German visa. This was looking like our best option and what we planned to pursue, but once we started the process of scheduling the appointment we realized that you have to sign a lease in Germany, speak German or hire a translator for your appointment and, while you can travel freely throughout the EU, it really only gives you permission to live in Germany so we wouldn’t technically be complying with it even if we got it. Also, the first appointment available was after our visa would have expired so this option went downhill pretty fast. Move to the UK for 2 months to reset our Schengen Short-Term Tourist Visa. The Schengen Visa allows US citizens to be in the EU (all countries combined) for 90 out of 180 days. So once you are out for 90 days, you can come back in for another 90. We were gone for a month for the holidays so we only needed 2 more months. US citizens can be in the UK for up to 6 months without a visa so we wouldn’t need to apply for anything to do this option, just book travel and go. Overstay the visa and risk the consequences. From what we have reaserched, it really isn’t much of an issue until you try to leave and then there are a variety of things that could happen. 1) nothing, not likely although there’s a better chance of this in some countries than others, but it all completely depends on the mood of the passport control agent. 2) a fine, it’s worth noting that if this were the worst consequence, we definitely would have just stayed and paid the fine, it would be significantly cheaper than the travel involved in any other option. 3) your passport is stamped as an illegal immigrant and you are banned from the EU for 1-3 years and ineligible for future long-term visas. So that’s why we didn’t do it – we absolutely love spending time here and even though this is not guaranteed to happen and we read on plenty of forums about people getting away with it, this was just too big of a risk for us…also, everyone knows I’m a rule follower and breaking the law probably would have given me anxiety attacks. Visa talk over, pick up here: So, we decided to go for Plan A – apply for an extension in Spain, and then Plan B – move to the UK for 2 months. Our teachers and friends at Entrelenguas could not have been more helpful throughout this whole process, they made calls to Embassies and Consulates and the National Police for us, found out who we needed to talk to, made the appointment for us, translated documents at the last minute for us…they went above and beyond and we are so grateful for everything they did. We can’t wait to get back and be a part of their community again. So, we had our appointment and the officer was really nice and explained to us that once you have a visa, you can generally extend it indefinitely from within the country as long as you still meet the requirements but US citizens don’t have a visa, they just have permission to travel without a visa under the Schengen agreement. So there is nothing to extend and there was nothing he could do for us. We finally had a final answer and we were really at peace about it, this whole move was pretty spur of the moment anyway so it’s all just part of the adventure. On our way back to Ronda from the appointment in Malaga, we happened to catch an earlier bus that we didn’t know existed which put us home in time for lunch. As we were walking past a restaurant we had never seen before, Gil said he wanted to try it out since it had a nice patio in the sun and it has been cold here. As we went to grab a table, we ran into Fiona and Shah, a British couple that we had met earlier that week in class and they invited us to join them. 6 hours later, we were still enjoying lunch and each other’s company and we had become fast friends with them. The truly amazing thing is, they offered to let us rent their house in London since they will be in Ronda the whole time we are gone. We have spent time with them almost every day since we met them, they are simply amazing people and I know we were meant to run into each other that afternoon. What a blessing to have just found out that we have to move to another country and then only hours later to have a place to live and great friends to come back to in a few months! We left the next day to meet my brother Andrew and our friend Aaron in Barcelona and spent a seriously amazing week with them and saying goodbye to our friends in Ronda and, in quick breaks between the fun, we made some fast decisions and booked travel for the next 2 months! Last week I posted a quick Facebook status about moving and asked for suggestions of places we should visit in the UK. We have incorporated almost every single one into our itinerary for the next 2 months, including a great suggestion from Sarah Loebl to explore outside of Europe as well since flights to almost everywhere in the world are not only possible but are pretty affordable from London. It may not have been our first choice initially but, now that we are doing it, we are so excited about all of the amazing things we will get to see! Planning all of that travel at the last minute on a budget was quite an adventure too, my next blog post will be all of my tips and tricks for finding great deals on travel. Here is a video Gil made to remember Andrew and Aaron’s visit. I think it’s his best one yet!